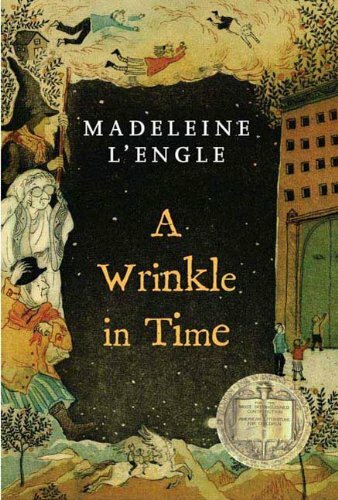 I decided to reread A Wrinkle in Time because husband and I just watched the movie, and it seriously irked me. It has been a considerable time since I first read the "Time Quintet." I couldn't remember the exact details of the book, but the message of the book had always lingered. The movie just screamed that something was severely off kilter. After the reread, I managed to get even angrier at the movie. I don't expect a movie to be an exact visual representation of the book--because cinema has proven they have no idea how to do that. I do, however, expect you to stick to the source material in a few basic ways. Keep the plot, keep the characters, and keep the message. Disney managed to throw all three categories out the window. A Wrinkle in Time is a beautiful story of string theory and astrophysics. It has an amazing moral dialogue to help children think about their impact in the world and just how small they are in comparison. Mrs. Who, Mrs. Which, and Mrs. Whatsit are some extremely phenomenal ladies. They take Meg, Calvin, and Charles Wallace on an astounding journey through the galaxies to rescue their father from IT. They go to fascinating planets and meet incredible entities along the way. They learn valuable lessons at every juncture. The writing is serious while being fantastic and captivating to a young reader. It easily deserves all the awards it has received. The story is timeless and still incredibly modern despite its original publication date. A Wrinkle in Time is a great starting point for children to think about what good and evil mean, and their influence on the world around them. I highly recommend these stories for every child. Never ever let them see Oprah's movie.